Milan Oubrecht was born on 19.11. 1950 in Mladá Boleslav. He spent his childhood in the spa-town of Mariánské Lázně (Marienbad). After completing primary school, he was admitted to the International Luthier School in LUBY near Cheb [Schönbach, a town situated a few miles away from West German border is well remembered for its long tradition in making master string instruments by predominantly German makers. This a town of similar Luthier’s importance as Mirrecourt in France, Mittenwald in Germany or Cremona in Italy] . He then worked at Cremona Luby (in the nineteenth century renamed as Strunal Schönbach). He later graduated from the Pedagogical Institute in Karlovy Vary (Carlsbad, the ancient spa city associated with visiting royalty or artists like J. S. Bach). 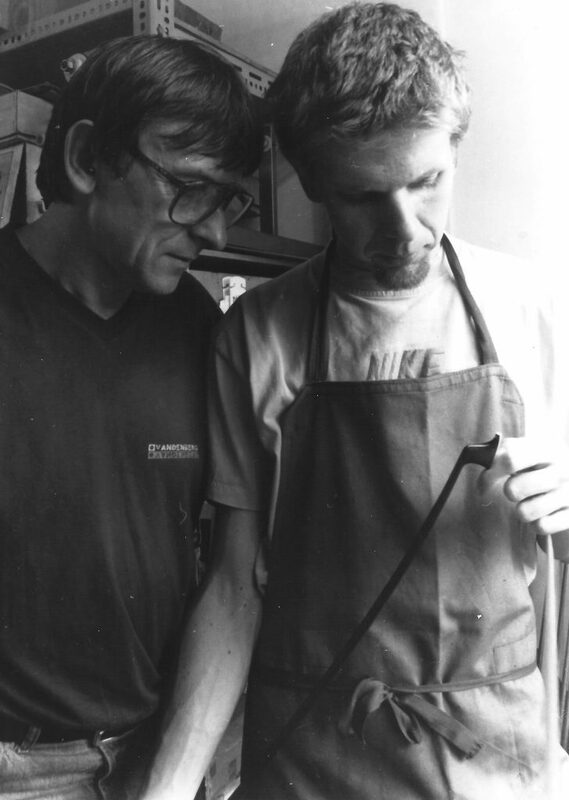 From 1977 till 1990 he became a master lecturer at the Luthier School in Luby. In addition to his pedagogical activities he continued making his master bows and then in 1991, he moved to his bow workshop situated in close proximity to his residence. In his workshop he is joined by his son and perhaps best pupil Luboš. For many years Luboš has made his own bows and enjoys a high reputation. 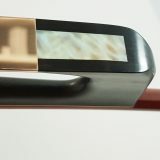 In developing his skills Milan acknowledges the co-operation and tutelage of older German bow makers and frequent consultation with outstanding musicians of his country and abroad. 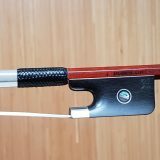 Milan Oubrecht’s bows are highly praised by top artists from all over the world, be they soloists, chamber ensemble players, or orchestral musicians. In 1987 – as an appreciation of his achievements – Milan was granted membership of the Circle of Master Luthiers (Kruh umělců houslařů) of the Association of Musical Artists and scientists. He is ranked among the most outstanding personalities in the Czech Republic at the turn of the 20th century, according to the book “Who’s Who” (“Kdo je kdo”). Milan makes his master bows based on his own design. However he respects the individual aesthetic and functional requirement of each player. His bows are valued for their elegant appearance, manoeuvrability, sound-enhancing qualities, and excellent craftmanship. Luboš Oubrecht, Milan’s son and pupil, was born on 22.10.1975 in Cheb. He graduated from the International Luthier School in Luby where his father, Milan Oubrecht, was his bow-maker tutor and lecturer. In 2001, on the basis of Luboš’s activities and successful examination, he was admitted to the Circle of Master Luthiers by the Association of Music Artists and Scientists in Prague, the same institution his father Milan joined earlier. Luboš has not remained in shadow of his father’s bow making. His bows are also played by musicians in many countries. He builds both master and concert bows for all string instruments, including those of the Baroque era. He also repairs and restores old bows. Luboš Oubrecht respects the individual requirements of musicians and their aesthetic views on period playing. His bows are appreciated worldwide for their elegant appearance, manoeuvrability, sound qualities, and workmanship. Atelier OUBRECHT crafts bows exclusively from high quality seasoned and old pernambuco wood. The bows are garnished in gold, silver or eventually new silver (for student bows). 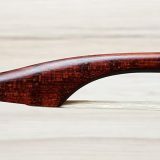 Baroque bows made by Luboš Oubrecht are made exclusively from snakewood whereas the much neglected ancient tradition of a convex bow is restored.